Native Union has somewhat of a reputation for using non-traditional materials in its designs. We've seen metal, marble, and others used in their creation of chargers, cables, cases, and more. 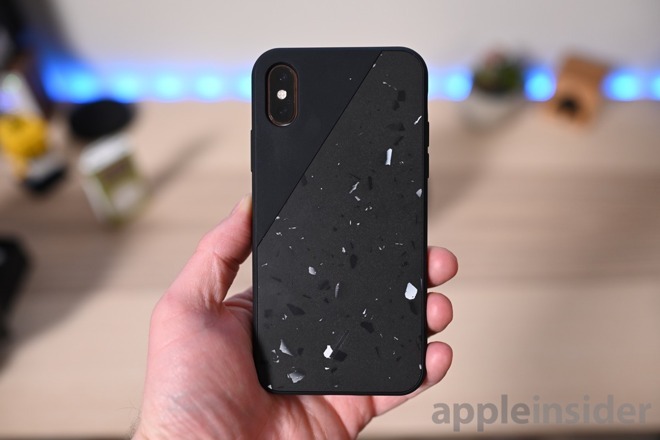 The new line of cases and wireless chargers is made of a custom terrazzo compound. Terrazzo is normally a cementitious binder with chips of various materials strewn about. Commonly that includes marble, quartz, granite, and glass though the only one confirmed to be used by Native Union is Jesmonite. This creates an entirely unique pattern on each case and charger manufactured. Because of the unique creation process, each one is handcrafted -- at least to some extent. Certain components are still produced the traditional way such as the frame of the iPhone case. Up first, is the Native Union terrazzo iPhone case. Using that terrazzo compound, this is the standard Native Union case with an inlaid pattern covering the bulk of the back. The case is a standard shell design that easily snaps on and off the phone. This case provides protection on all sides of the phone, including the bottom which is often left uncovered. A lip around the front keeps the screen from touching the surface it is placed on, ensuring rough textured surfaces won't mark up the display. At the bottom of the back of the case is a small slash mark which represents the only manufacturer mark on the outside. The case is stylish and well built, but it doesn't move the needle in terms of drop protection or quality in terms of the shell. Terrazzo here looks great but otherwise feels like a run of the mill case. 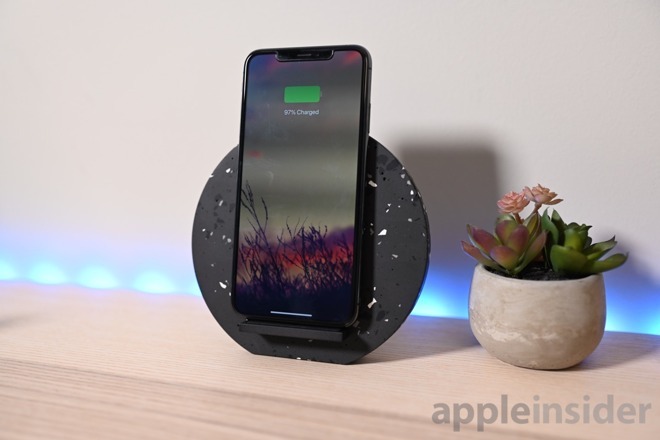 Next, we spent some time powering up with the terrazzo wireless charger. This charger is a bit oversized and mimics other chargers from Native Union in that regard. It is shaped like a circle with a leveled off portion at the bottom for stability, similar to a flat tire. Towards the bottom is a cutout for the stand portion to be inserted. The stand is made of metal and has quite a large amount of heft to it. When assembled, the stand is as stable as it is eye-catching. Within the terrazzo, there are two wireless charging coils. This allows for both vertical and horizontal orientations of your device. That makes it great for a perhaps watching a video or virtual alarm clock when horizontal. The charger is powered over USB-C, which is great, but Native Union opts to omit a power adapter in this box. You're left to provide your own, though they do include a cable. 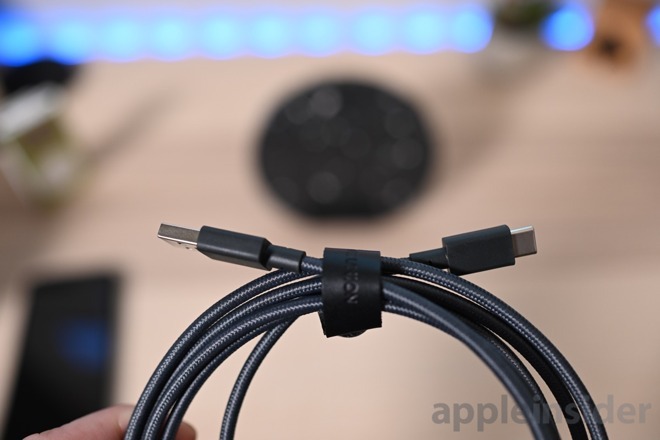 Inside the box is a 6.5-foot USB-A to USB-C cable which is nylon wrapped and has reinforced over-molds and a leather strap to keep it organized. If it was up to us, a pure USB-C to USB-C would have been preferable. Once more, the terrazzo material steals the show with a great pattern and a soft touch finish. 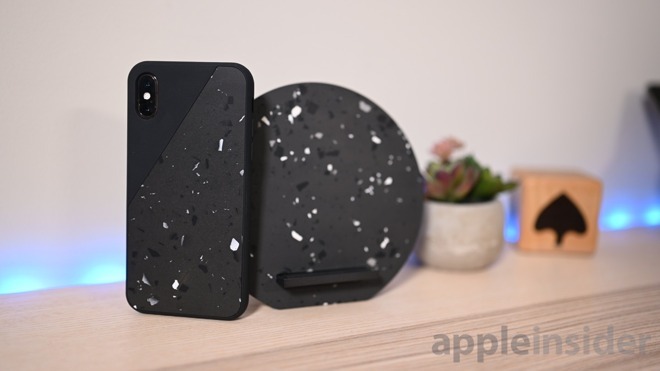 It was also a nice touch to be able to pair the terrazzo case with the terrazzo charger. The downside to the charger here though is lack of options. There is no additional USB output and it does occupy a larger footprint than your standard charger. 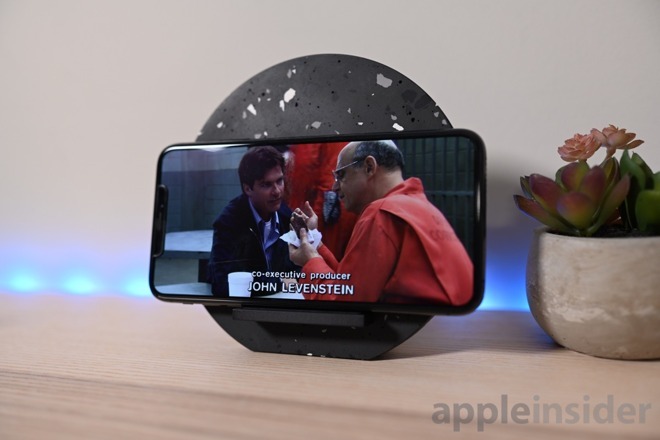 If you go with the terrazzo wireless charging dock from Native Union, you are doing so to make a statement. You can grab the Native Union Terrazzo collection on Amazon. The wireless charging dock runs $149 and the case runs $59. Both can be picked up in Rose or Gray. I'm looking for a vertical charger. I like this one. May need to get two of them.